Summer, here in Ontario, has left the room. Thank goodness she left her bounty behind. 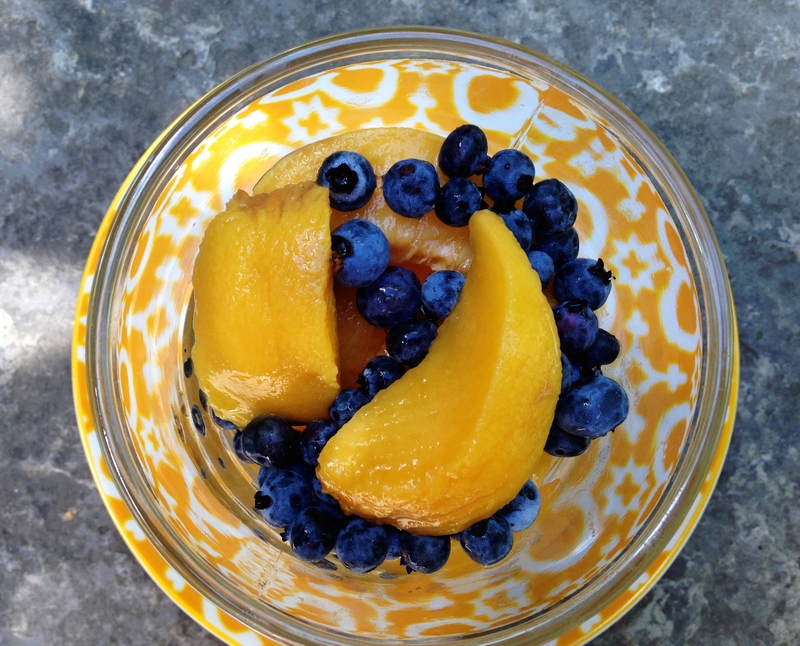 Ontario peaches and wild blueberries together are reason enough to celebrate August, ridiculous chilly weather aside. On their own, they are sweet glory. 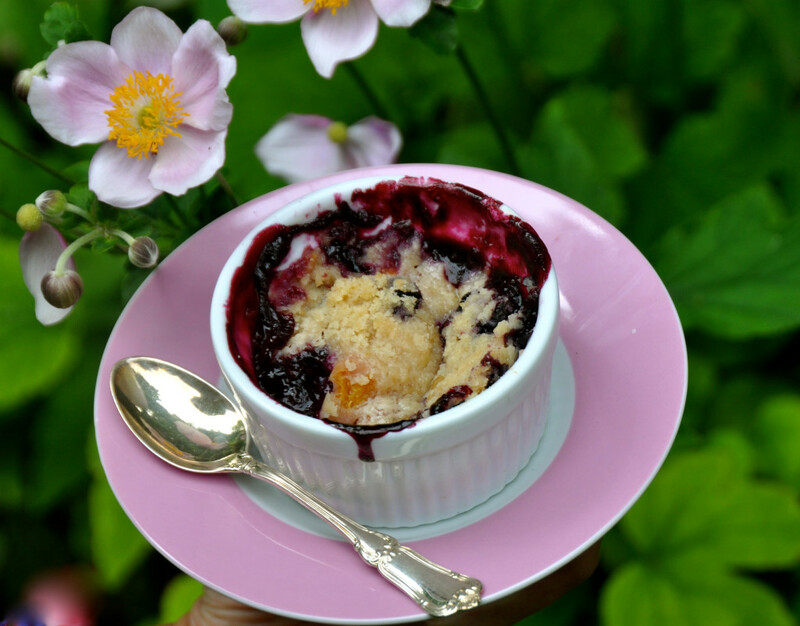 Or, throw them in a teensy cup, sprinkle some crumble, and bake up a simple treat for the gods. Combine lemon juice, zest, sugar, and flour. Add peach slices and toss. With rubber spatula, gently fold in blueberries. 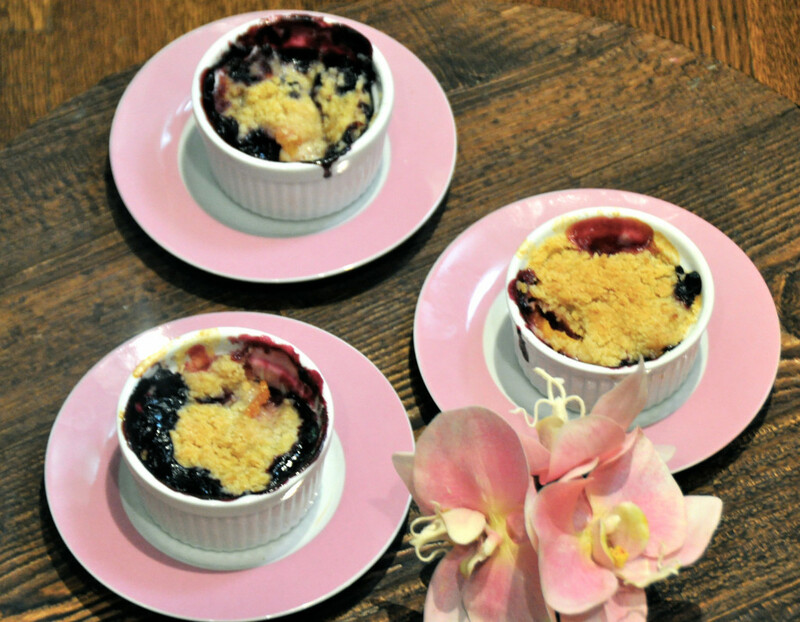 Spoon the mixture into cups and let sit while you make topping. Combine flour, both sugars, salt and cinnamon in food processor. Dice butter than add to processor and pulse until mixture is loosely together in a crumble. 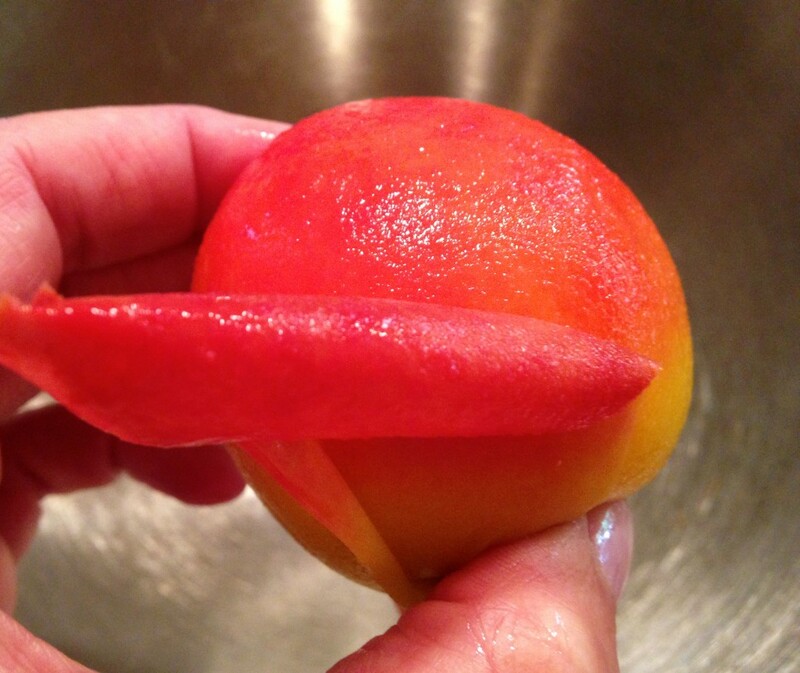 Place cups on baking sheet (line it with parchment to catch fruit juice drips!). 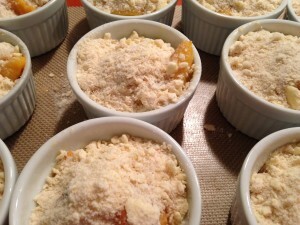 Bake for 45 minutes until topping is browned and juices are bubbly. Let sit for 10 minutes and then serve warm. The easiest way to peel peaches is to cut an X at bottom of peach then drop them briefly (30 seconds) into boiling water. Remove with a slotted spoon and drop them into a bowl of cold water for a minute. 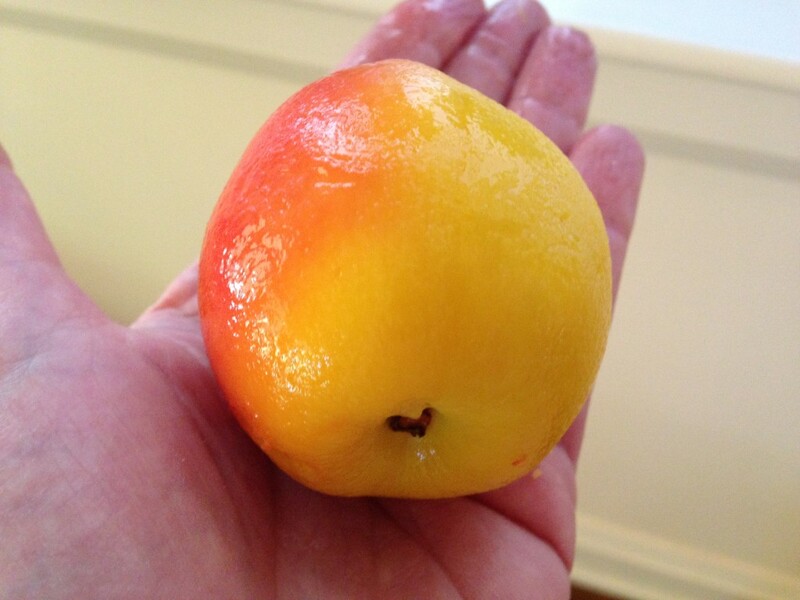 Peeling back from the X, you will find the skin comes away perfectly, taking no excess fruit with it. You can then slice easily into wedges. These luscious fruits deserve their own festival and where better than Niagara? For more on the annual festival, read here. We’re having fun with our own version, making tarts and ice cream. 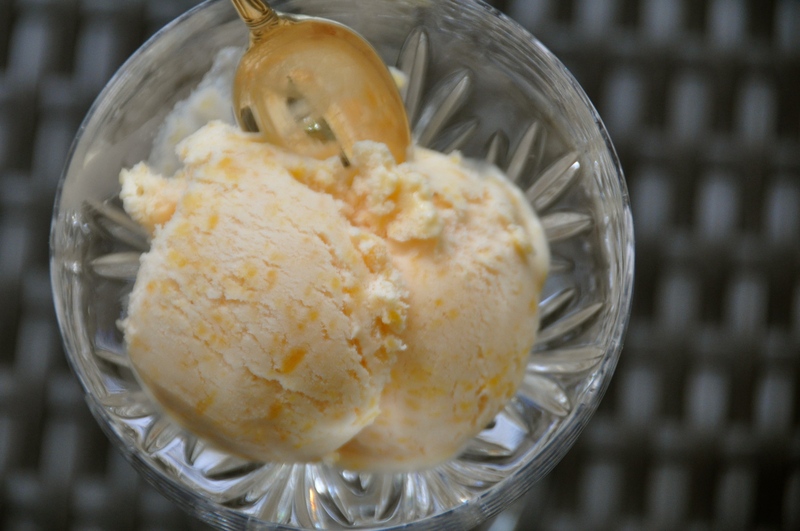 Peach ice cream is the reason the stuff was invented.